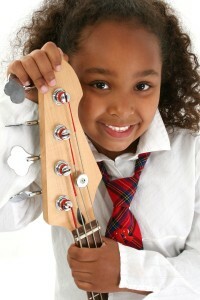 Bass is a great instrument for starting music lessons. At first, we play one note at a time, then it gets more interesting as the bass lessons progress. It’s true that the bass player’s job is to follow the root motion of chords. The “root” is the lowest note of the chord and is usually named in the chord symbol, for example, “C major” chords usually have a C note in the Root, BUT, that can get boring. Bass players with skill play melodies within the scale and help transition from chord to chord, example, using “walking bass” lines. Bass students learn to create melodies that support chord changes and the main melody while sounding rhythmic. Taking bass lessons is the difference between tinkering with the instrument and truly understanding it. The Bass player is the glue between rhythm, harmony and melody. 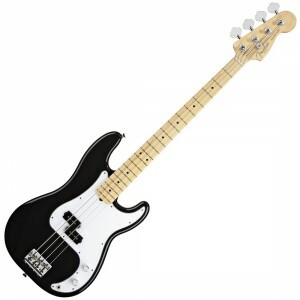 Being rhythmic means a strong connection with the drummer, and rhythm training is a big part of bass lessons. To have a great band, you need a drummer and bass player who are willing to work hard to develop their feel, and “lock in” on the beat, it takes team work! We serve Leander, Liberty Hill, Cedar Park and Georgetown.